A right royal time to be had by all! Call 083 229 5677 - 010 444 0198 - 082 602 2958 to reserve your seats. What is a Medieval Feast? At Greensleeves you'll recapture the authentic excitement, the pageantry and medieval splendour - the roisterous thrill of feasting as they did in good King Henry's days. Dress up in Medieval costume, eat as much as you like from a four course meal that is brought to table by the serving Wenches - with a fanfare of trumpets. Rollicking, bawdy fun, singing, and audience participation with the Baron and his Troubadours, with dancing until after midnight. Call 083 229 5677. Booking is essential! For full pricing, Vegetarian, Vegan, and Halaal prices and menus - and an explanation of the menus click here. Prices are per person, include VAT but exclude drinks and a service charge. Prices are for Friday and Saturday nights - discounted prices are available for weekdays and specials run from time to time. Join our mailing list (at the bottom) to be kept up to date. To secure your booking, deposits need to be paid 1 week prior to the Feast, except October to December when we need your deposit 1 month in advance. A venue charge may apply should you wish to reserve a private function. Book now! Feast on a delicious Four Course Meal prepared in our not-so-medieval kitchen. We are proud to offer craft beers from over six different local breweries, and a choice of over 30 different beers! Dress up in Medieval Costume and... why not stay the night in our Luxury Accommodation? The old Honeymoon drink, made with raw honey. Contains alcohol. served with earthapples, honeyed pumpkin wedges, garlic green beens and red onions and a truly flavoursome pan gravy, Add Oven Roasted, chargrilled Sirloin of Beef with a Red Wine Jus. 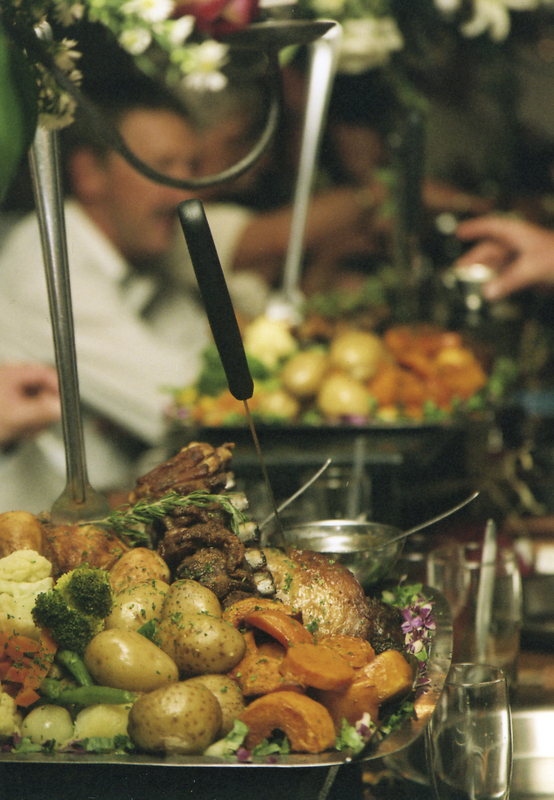 Carve it up at the table, and eat as much as you like! Greensleeves is Fully Licensed And Our Prices Are Very Reasonable. We serve a selection of craft beers! As one of the pioneers of supplying Craft Beers in SA, we have a large selection of beers from all over the country. We also have eight varieties of fresh draught craft beer on tap. Other bottle craft beers are always available as well. Order a half yard and take the glass home as a souvenir. It makes an original gift to remember your night out - for your clients, friends, or employees. Order a Yard on its own... a Yard with a colourful tasty crushed ice cocktail... Or a Yard with Craft Draught beer... The choice is yours. mmm... Decisions, decisions! * All food is included in your price for the Feast. Menu is subject to change. Drinks may be paid for as ordered - 'cash bar' - or added to your bill. Eat as much as you like - regret no Doggie Bags - Special diets can be catered for with advance notice - We do not have a Kosher or Halaal kitchen. If your guests are strictly Kosher or Halaal you may arrange meals for them to be brought in. Full charges however still apply. We do offer pescatarian and vegetarian meals at a small surcharge if pre-booked. Dressing up? Medieval Costumes may be hired at Greensleeves on the night. We have over 550 costumes to choose from! Our costumes are specially designed to fit all sizes. You may choose what to be for the night - live out your dreams as a King, a Friar, a Baroness or a Peasant. Costume Hire opens at 6.30PM. Most people dress up - it's more fun! Change on way in and have fun changing with your guests. No deposit - leave your clothes as surety. No cleaning of costume - we do it. Just return the costume on your way out. If you choose not to dress up in costume then dress is informal. You may also make up your own costume. Thanks to all the generous people who donated! Sleeping over? Enjoy the feast without having to drive home. Spend the night in the 'Jane Seymour Suite', a plush room with a four poster bed, luxury bathroom with walk in shower, and Victorian bath. Enjoy your picnic breakfast on your private verandah, or next to the swimming pools. We can also suggest alternative accommodation close by. 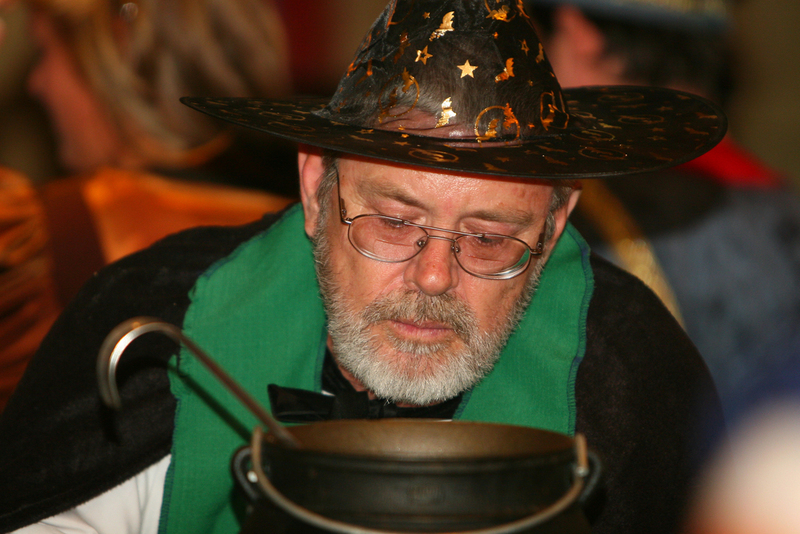 Join a Friday or Saturday Medieval Feast, by yourself or with as many friends as you can assemble. If you have more than 60 guests, you could even reserve a Private Feast! We have a list of bus and shuttle companies for you to contact. If you choose to use any other bus or shuttle company, please contact us to authorise access for them. Due to past experiences with other companies we have had to restrict access to approved busses only. The use of "Party busses" is not condoned. Rollicking, bawdy fun, singing and audience participation with the Baron and his Troubadours continues until about 11.00PM, as food and drinks are served by Wenches and Lackeys in Medieval attire. Note that times may vary. Please note that we do not allow any Video or Audio taping of any part of the performance, and Cell phones must be turned off during the Feast. Also note that Greensleeves Medieval Feestes are an adult type of show. They are not suitable for children and babies. We do not have babysitting facilities, and there is no place for the children to be looked after. We do host School Tours for primary school children where they could learn more about Medieval Times.